Preterm birth is a major global public health problem. Every year, 15 million babies are born prematurely and many will suffer from neurodegenerative disorders, including cerebral palsy, learning disabilities, impaired vision, and behavioural problems. Premature delivery (before 37 weeks of pregnancy) is induced by contractions in the expectant mother but causes behind this mechanism remain unclear. Now, a team from the Research Institute of the McGill University Health Centre (RI-MUHC) has shed light on new possibilities for the prevention of preterm birth. They studied a gene called Nodal, which, through the regulation of the immune system and the inflammatory factors associated with it, appear to determine when contractions will start. The results of their work have been the subject of several publications, which the most recent in the Journal of Perinatology. "Currently there are absolutely no treatments that exist to prevent preterm labor. Now that we have shown that Nodal is involved in regulating the initiation of contractions, this could lead to promising new therapeutic avenues to prevent premature births" says senior author Daniel Dufort, lead scientist and member of the Child Health and Human Development Program (CHHD) at the RI-MUHC, who has recently received five-year funding from the Canadian Institutes of Health Research (CIHR) to pursue his work. The scientists used data collected between 1999 and 2004 from a cohort of 613 women (424 of whom had given birth at term and 189 at an early stage) in four hospitals in the greater Montreal area. They analyzed associations between variations of the Nodal gene and two potential risk factors for prematurity: bacterial vaginosis (a common vaginal infection) and inflammation of the placenta. "We started to correlate the data and found that mothers who had placental inflammation or bacterial vaginosis and who also presented variations on the Nodal gene, were at higher risk of premature delivery," says Lisa Starr, first-author of the paper and a postdoctoral fellow in Dufort's laboratory during the research. Dr. Daniel Dufort and his team studied the function of Nodal in mice and showed for the first time that when suppressing Nodal, delivery occurred two days before term. "During gestation, the immune system is kept in an anti-inflammatory state, but just before the contractions begin, there is a change that takes place and the environment goes from anti to pro-inflammatory," explains Dufort who is also an associate professor in the Departments of Obstetrics and Gynecology at McGill University. "We have discovered that the Nodal gene keeps the uterine environment in an anti-inflammatory state by preventing immune system cells from secreting inflammatory factors. So if the Nodal gene is altered or deleted, the milieu changes when it is not supposed to. It becomes pro-inflammatory too early, which induces premature contractions." 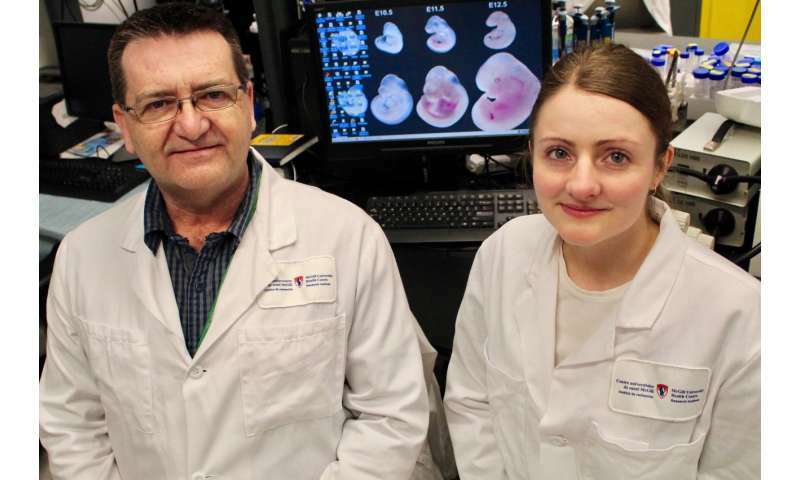 Thanks to this CIHR grant, researchers will delve deeper into their work to identify the genetic mechanisms associated with the Nodal gene that influence premature labor in humans. "We are expanding our findings to larger cohorts of patients across Quebec and Ontario," says Dufort. 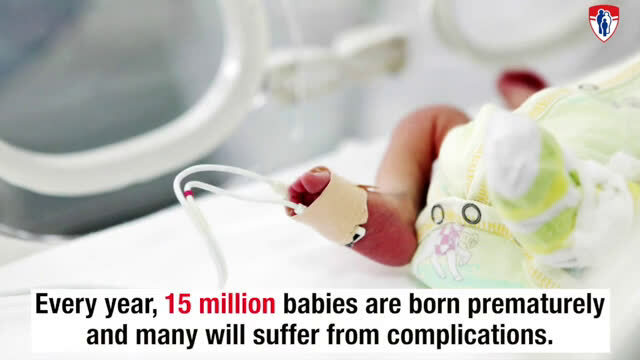 Premature birth is the leading global cause of death among children less than five years of age. In Canada, about 30,000 premature babies are born each year.